A New York judge ordered Leonardo DiCaprio to testify in a libel case against “Wolf of Wall Street,” a film he both produced and starred in. Andrew Greene, a former executive of the stock brokerage firm Stratton Oakmont, filed a multi-million dollar lawsuit against Paramount Pictures Corporation and a host of other producers. According to Greene, he was defamed in the Oscar-nominated film with the portrayal of Nicky ‘Rugrat’ Koskoff, played by PJ Byrne. Throughout the film Koskoff engages in illegal activities—including drug use and money laundering—and allegedly shares a likeness to Greene. Greene maintains he’s never engaged in any illegal activities during his tenure at Stratton Oakmont, but instead “had a reputation of trying to legitimize the activities of STRATTON OAKMONT and developing compliance procedures,” according to the court document. Paramount Productions has denied Greene’s claims, citing Koskoff’s character was a combination of several personalities from several individuals. “The film included fictionalized composite characters, made up of the actions and traits of a number of individuals. The historical actions that made up the book and film encompassed hundreds of individuals that made the likelihood of confusion far less than the likelihood plead,” the lawsuit reads. 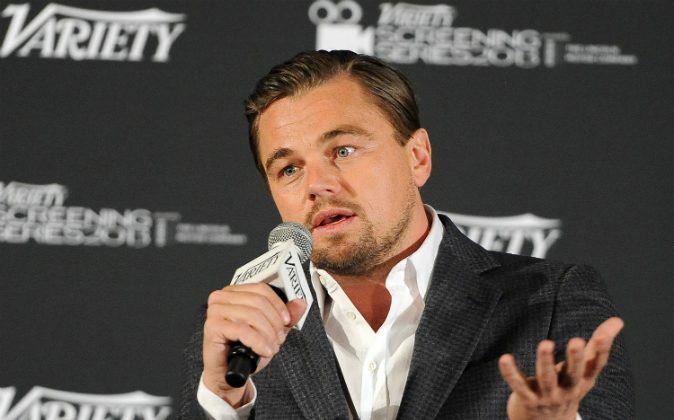 Lawyers for the 41-year-old actor have maintained DiCaprio wasn’t involved in the screenplay writing process—Terence Winter was the screenwriter—and therefore played no role in the inclusion of content. Greene is a former associate of Jordan Belfort, who was played by DiCaprio in the 2013 film about the brokerage firm Stratton Oakmont. The role earned DiCaprio an Oscar nomination for Best Performance by an Actor in a Leading Role and the film was nominated for Best Motion Picture of the Year in 2014.